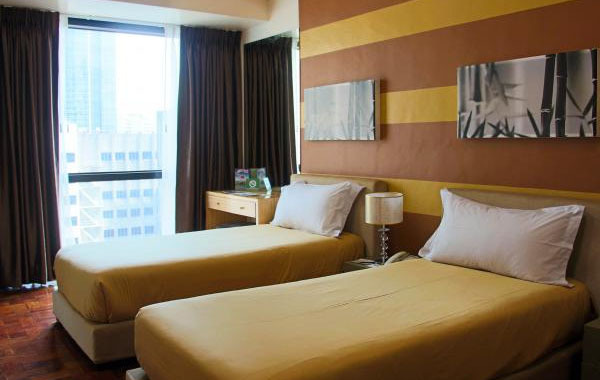 Feel the familiar comforts of home at Asian Mansion II Hotel within Makati’s bustling business district. Here, everything you need is easily within reach. Your choices and preferences are also met as the hotel provides 4 lodging types decorated with earth tones for a calming ambience. All room types are equipped with a fully functioning kitchen area as well as dining facilities. 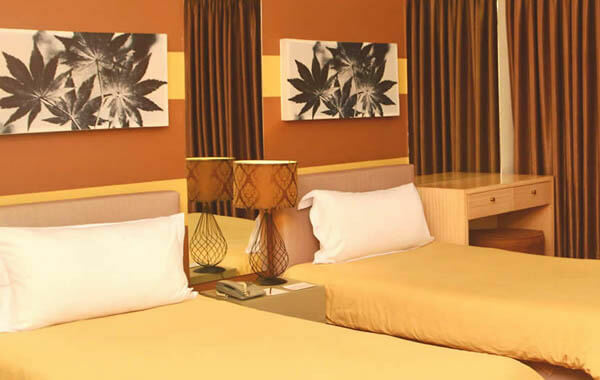 The hotel has 5 Studio Prime units that can accommodate 2 adults and a child. Each room has a private bathroom, kitchen and dining facilities, and is completed with a cable TV, refrigerator, and phone. 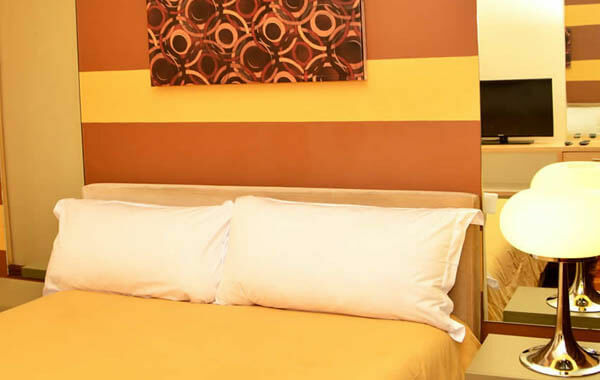 This studio-type room is air-conditioned and fitted with a queen bed and an extra single bed. The hotel’s One-Bedroom Suites is spacious yet inviting. It features a bedroom with a queen-size bed and can accommodate 2 adults and a child. It also has separate living room where guests can relax on a sofa and watch TV. For the ultimate condominium-style hotel experience, book the Two-bedroom Suite. Asian Mansion has 3 units of this room type and each one is completed with a queen bed in the master’s bedroom and a single bed in the other room. 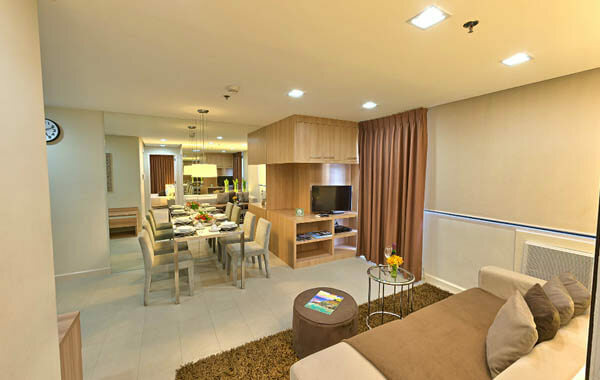 The suites can accommodate up to 4 adults and 2 children. 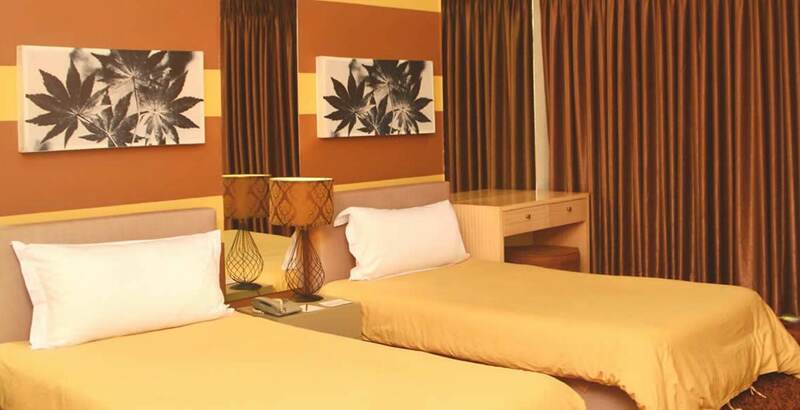 Here they have a spacious and a top-notch studio room that is air-conditioned and is equipped with a shower, toilet, bath, and other upgraded amenities. This exclusive unit can accommodate 2 adults and 2 children where they have the option to choose between a one single bed or a one double-sized bed.